Not bills or grocery ads or packets with mock car keys attached promising me a deal on a 4-door sedan. But be aware that I'll squeal like a junior high cheerleader if a free sample of shampoo appears in my box. What about old-fashioned writing? With a pen? Squeals continue. My sweet cyber friend April May, who you met last week when she provided some snazzy photography tips, is also an incredible designer of some beautiful note cards. And here's my absolute favoritist. 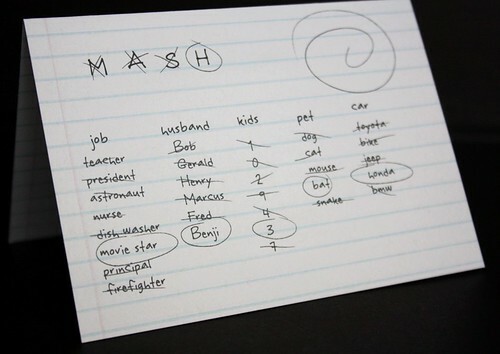 MASH Change of Address by Everything Little Miss. Inside reads "Well, it was right about one thing. We got a house!" I would be willing to get married and sell my house and move to be able to use these cards. I would be willing to do that without the cards. 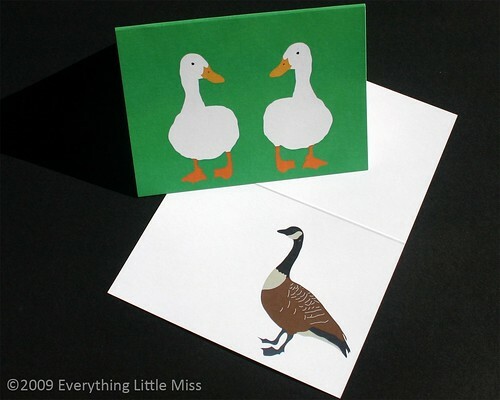 April has been kind enough to offer this fabulous set of Duck Duck Goose note cards from her delightful Etsy shop to one lucky rabbit reader. Plus, as gravy, I'll throw in an extra Everything Little Miss stationery set of your choice! So you win two! To whom would you mail a note or free sample? 1. Visit Everything Little Miss Etsy Shop and comment with your favorite item. 2. Be a follower of April (little miss spy) on Twitter. Important Details: Open to anyone in the US. Must enter before 11:59pm CST on Monday, July 26 to qualify. Winner will be chosen randomly using Research Randomizer and announced on Tuesday. Obviously, anonymous folks can't win unless they leave a name in the comment. P.S. Feel free to email me for my mailing address so you can send me mouthwash samples. I'd send it to my sister. I love the scattered hearts cards. I would like to send a note to one of my best friends from college. She and I like to pass funny cards and notes through the mail. I like the Ewe rock cards. They would make cute thank you notes. I would send it to my sweetheart! I would mail it to my grandmother than lives a state away! I would mail a note to my BFF who is in Croatia. So far away! I would mail a note to my Grandma. The one of a kind paper crane mobile is amazing. Oh and I'm a follower of @littlemissspy on twitter. Plus, I went to Etsy and the 'Birds on a Wire' - amazing and not just because they remind me of a Regina Spektor song. I would mail it to my sister. I like the Love Birds Folded Card on her etsy site. I would send one to my best friend in Oregon! My favorite item is Ewe Rock Folded Card Set of 8! I'd send to my mom. She can always use a happy day note! I would mail a note to my mother. I follow April on Twitter. My screen name is laprochaine. 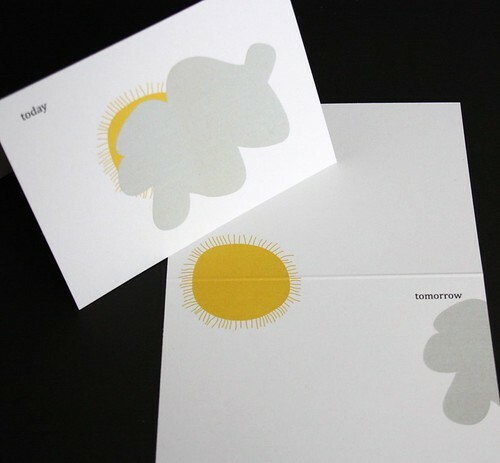 I like the danke thank you cards. I am following you on twitter as @bmom76. I would mail it to my best friend who is always sending me things in the mail. I'd write a note to my sister, she'd loved these! I like the oxalis cards! I'd send it to my high school friend who now lives across the country. I would sent a note to my mom and sister just because. I owe so many people notes...I met with a group that is helping my nonprofit fundraise and I think I owe them a note! I love the red bike! My hubby is from the UK...so I would use these to send notes to his family and friends overseas! I love the red bike one!! I love mailing notes to my daughter and niece when they are away at college. I like to stick a little something in the note for them (maybe a little cash or a gift card for Starbucks). Thanks for the review and giveaway! I love the set of 8 Vintage Toys folded cards. They are adorable! So so cute! I would send one to my brother. I'd mail it to my sister! I'd send a note to my friend Kathy back in my hometown. I would send it to my twin sister! She is the best! I love the "Ewe Rock" note cards. thanks! I'd send a card to my grandma. She turns 91 next month and loves getting mail. I like the "Don't forget to make a birthday wish" card.